NC Emergency Management employees prepare North Carolinians for disasters in a variety of ways, but today we recognize one team that is essential in natural disasters. Today is National Weatherperson’s Day, so we are spotlighting three meteorologists who comprise the weather reporting team for the department. National Weatherperson’s Day honors individuals in the fields of meteorology, weather forecasting and broadcast meteorology to celebrate the birthday of John Jeffries, one of the first weather observers to take daily measurements. Katie Webster, Kevin Kalbaugh and Diana Thomas don’t just pull weather forecasts. Their responsibilities are vast and vital to team preparations and response to weather emergencies. The team composes daily weather updates that highlight any potential hazards that should be monitored. 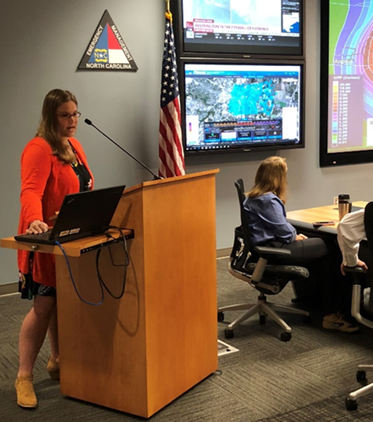 Always committed to consistency in messaging, NCEM meteorologists work closely with federal partners like the National Weather Service, National Hurricane Center, Storm Prediction Center, Weather Prediction Center and the Southeast River Forecast Center to gather and share data. Their insight on potential threats helps NC Emergency Management Director Mike Sprayberry make decisions to secure additional commodities and/or activate the State Emergency Operations Center. 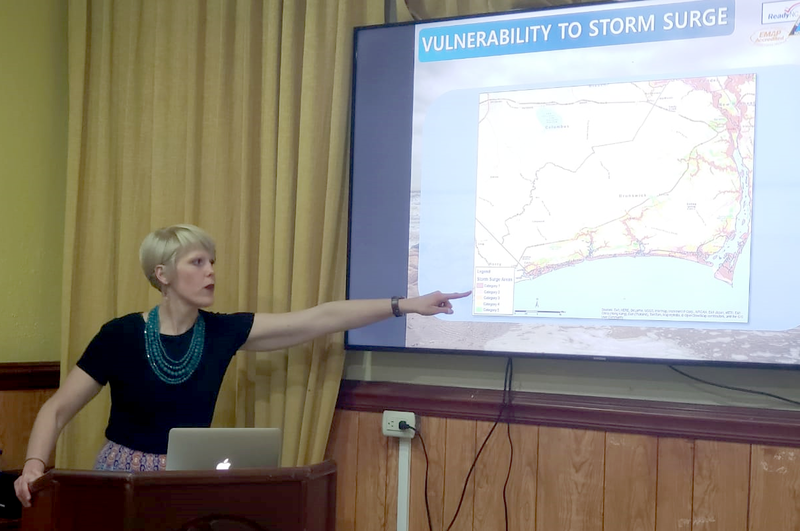 When activated for emergencies, the meteorologist team briefs State Emergency Response Team partners twice daily on the weather and any changes that may affect decision making for individuals responding during storms. These updates can include precipitation amounts, wind conditions, flooding and more. In fact, they even provide insight on flying conditions for the safety of aerial search and rescue teams. They also brief the governor and departmental leadership prior to press conferences. Post-disaster, NCEM meteorologists will gather information regarding disaster declaration using data derived from the NWS or the NC State Climate Office. 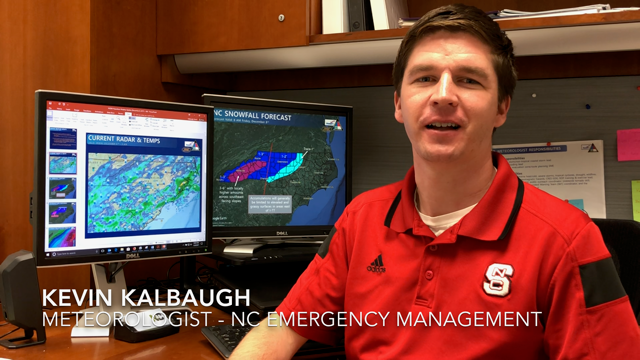 Outside of weather forecasting and reporting, NCEM meteorologists develop graphics for preparedness campaigns—you may have seen some of them on the NC Emergency Management social media channels—and participate in several state emergency management events and conferences. In addition to their meteorological roles, Thomas, Webster and Kalbaugh also have served in various positions of the NCEM planning section, including Planning Section Chief, Deputy Planning Section Chief, Resource Unit Lead, and Situation Unit Lead. While serving on the Incident Management Teams in plans section roles, they have rendered assistance in Puerto Rico and Hawaii. So, on this National Weatherperson’s Day, be sure to thank your meteorologists. Go enjoy the outdoors or even try to predict the weather yourself to see what it takes.